Buckwheat replace the meat excellently thanks to well-soluble and digestible proteins as well as calorie and taste good. Useful properties of buckwheat are not only in the high nutritional value but also in the content necessary substances for human health: iron, iodine, nickel, copper, phosphorus, zinc, boron, cobalt. Also buckwheat is rich in trace elements and organic acids: malic, oxalic, maleic, citric. Diet in quality buckwheat contains vitamins: B,P (rutin), PP, but unlike other cereals buckwheat vitamins are in a balanced ratio. Buckwheat has a lot of folic acid, so this cereal is especially useful for pregnant women. Folic acid has surprising properties: it improves endurance, helps the body to better fight diseases, stimulates hematopoiesis. Buckwheat is a leader in protein content among cereals, it contains less fat than has wheat and oatmeal. Useful properties of buckwheat can be listed for a long time. 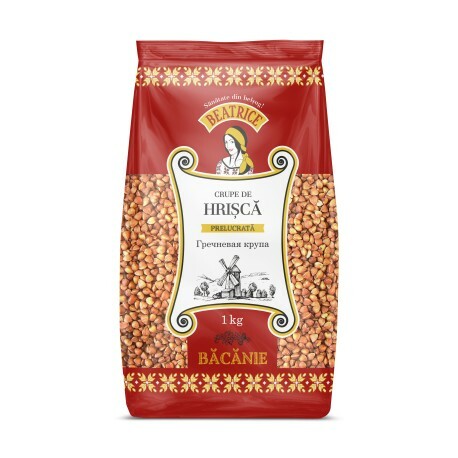 Here are the main ones: buckwheat strengthens blood vessels, increases muscle strength, reduces the level of bad cholesterol in the blood, has a beneficial effect on the pancreas and gastrointestinal tract. It is recommended to consume buckwheat constantly if you have obesity, diabetes or metabolic disorders. If you have heartburn - chew a pinch of raw grains. Buckwheat is often used in traditional medicine. If you have a dry cough - drink tea from the flowers of buckwheat napara: 40 g per liter of water. If you have a sore lower back - evaporate buckwheat and overlaid it back. If you have an abscess or boil attach to the sore spot chewed raw buckwheat. If you have a sore throat - heat the raw rump in a pan, pour it in a sock and tie a scarf to the neck. In the treatment of jaundice, traditional medicine recommends to the patient to rub the liquid buckwheat, after that he should lie two hours in warm. Buckwheat is also very useful for children. It can be given to babies under a year for breakfast and sifted buckwheat flour used as baby powder.